Remarkable soft and sleek comfort and style is showcased in the SKECHERS Lanson - Revero shoe. 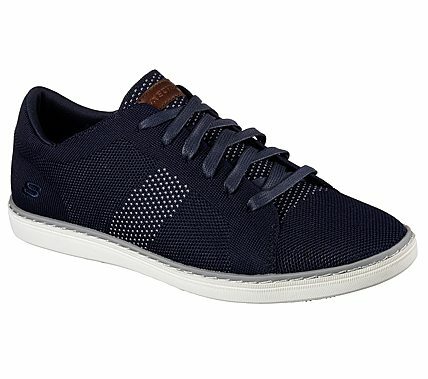 Nearly one piece soft sporty knit mesh fabric upper in a lace up casual comfort sneaker oxford with knit-in detail. Air Cooled Memory Foam comfort insole.